What is a Washington Last Will and Testament? Washington Last Will and Testament: What Is It? 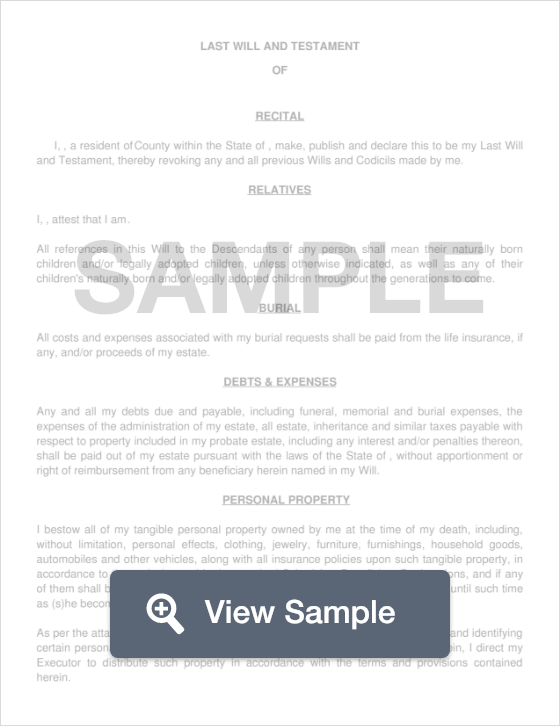 A Last Will and Testament allows its creator, the Testator, to lay out exactly what he or she wants to happen to belongings, assets, and property once they die. These documents can be upheld in court if any disagreements occur between beneficiaries. According to Washington law, these documents must be signed by two Witnesses and notarized by a Notary Public. Witnesses - According to RCW 11.12.020, the Will must be signed by two (2) witnesses.